At Lamar Valley, mountain peaks gently rise from the distance and a small river flows at this picturesque spot inside Yellowstone National Park where wildlife abounds. Photographers bring their gear and wait for bears, wolves, elk, bison, and other wildlife to appear. You can fish along the river with a permit; anglers wrangle for cutthroat and rainbow trout here. 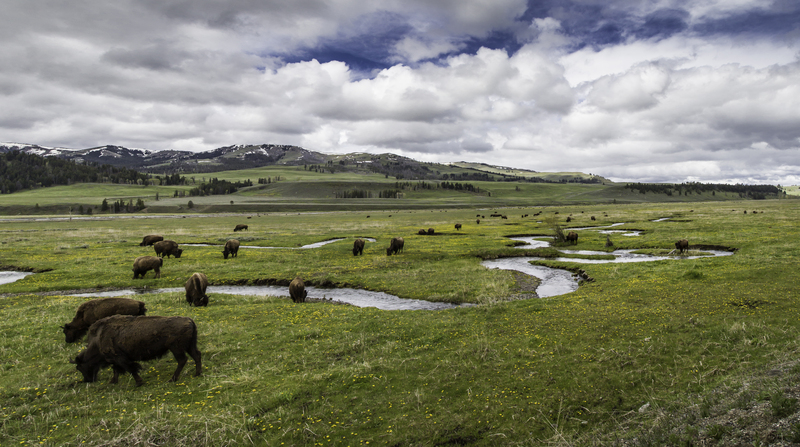 To get the best out of this small gem in Yellowstone, take an organized wildlife excursion. 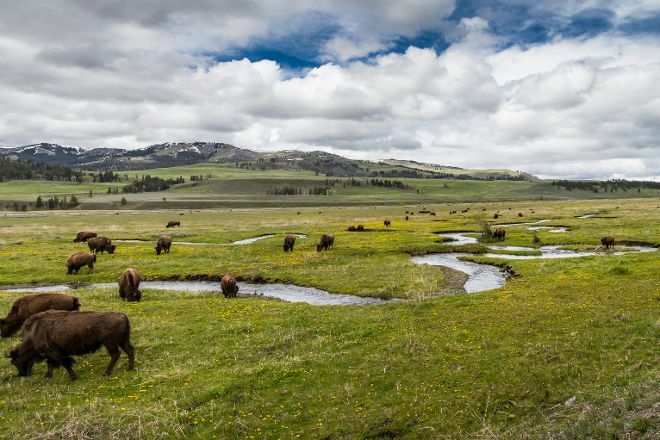 By using our Yellowstone National Park day trip planning app , you can arrange your visit to Lamar Valley and other attractions in Yellowstone National Park. Worth the drive. Stunning location, much more scenic than Hayden Valley. Less traffic and more wildlife. To be able to see wolves aim to be up to this area before 8am, the earlier the better. Slough creek is the best spot to spot the wolves. We saw a variety of wildlife from bison to pronghorns, coyote.